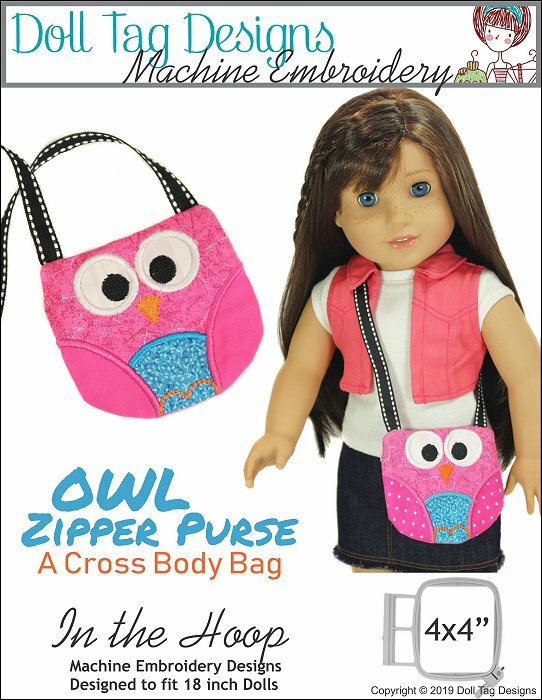 With this in the hoop machine embroidery design you can create a “tweet” cross body bag for your doll. She can wear it to school or just about town! Play with color and various printed fabrics for all sorts of fun combinations! This purse is super quick to create and is great for using up fabric remnants as well. The owl purse is done in two 4x4” hoopings. The owl is in appliqué. 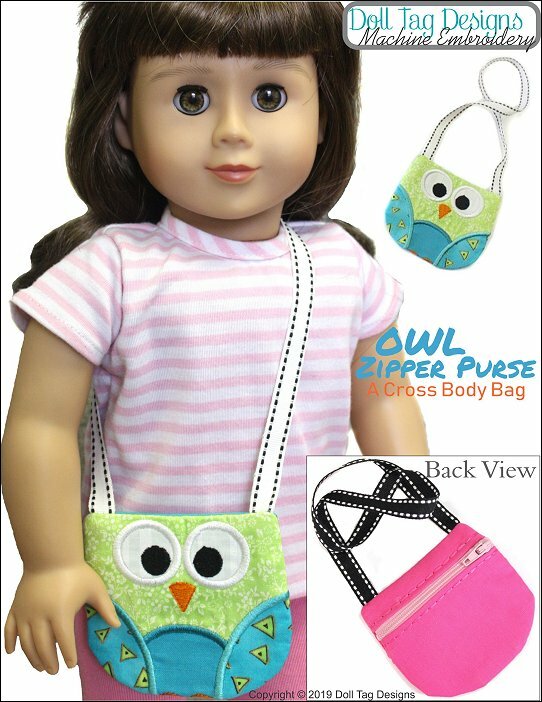 You can also do a plain version of the purse without the owl and that is done in one step only. Instructions are included to do this. The zipper is inserted with your machine. Shipping is not available for this product. 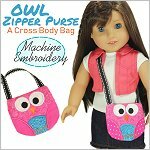 Owl Zipper Purse - Machine Embroidery comes with the following format(s) and is an instantly download after checking out. Ons is in Suid Afrika en praat ook Afrikaans!